IMAGE: Scientists are concerned about the Belo Monte power complex in Brazil because its placement on a major Amazon tributary threatens several species of fish that do not exist elsewhere. 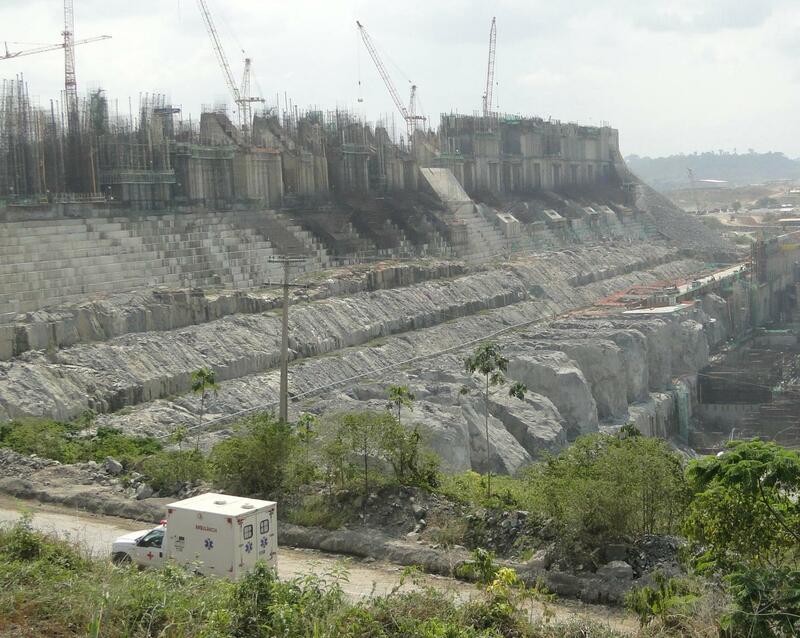 Advocates of huge hydroelectric dam projects on the Amazon, Congo, and Mekong rivers often overestimate economic benefits and underestimate far-reaching effects on biodiversity, according to an article in the Jan. 8 issue of Science by scientists representing 30 academic, government, and conservation organizations in eight countries. "These three river basins hold roughly one-third of the world's freshwater fish species," said Kirk Winemiller, a professor of wildlife and fisheries sciences at Texas A&M University and lead author on the article. "The 450 additional dams being planned or under construction in these basins put many unique fishes at risk." Impacts of the hundreds of proposed Amazon dams include forced relocation of human populations and expanding deforestation. "Even when environmental impact assessments are mandated, millions of dollars may be spent on studies that have no actual influence on design parameters, sometimes because they are completed after construction is underway," said co-author Leandro Castello, an assistant professor of fish conservation at Virginia Tech, who studies how global change affects the ecology and conservation of fish and fisheries. "A lack of transparency during dam approval raises doubts about whether funders and the public are aware of the risks and impacts on millions of people." "Long-term ripple effects on ecosystem services and biodiversity are rarely weighed appropriately during dam planning in the tropics," said co-author Peter McIntyre, assistant professor of zoology in the Center for Limnology at the University of Wisconsin-Madison. "There is good reason for skepticism that rural communities in the Amazon, Congo, and Mekong basins will experience benefits of energy supply and job creation that exceed costs of lost fisheries, agriculture, and property. An improved approach to dam evaluation and siting is imperative." There is a better way, according to the researchers. For the first time, spatial data on biodiversity and ecosystem services are adequate to support sophisticated analyses that balance the costs and benefits of hydropower. For instance, new analytical methods can account for cumulative impacts from multiple dams upon hydrology, sediment dynamics, ecosystem productivity, biodiversity, fisheries, and rural livelihoods throughout watersheds. "Incorporating these data and tools into assessment protocols would boost the credibility of dam siting in the eyes of all stakeholders," Winemiller said. "Institutions that permit and finance hydropower development should require basin-scale analyses that account for cumulative impacts and climate change. Common-sense adjustments to assessment procedures would ensure that societal objectives for energy production are met while avoiding the most environmentally damaging projects," the article concludes.